Spruce up your wine glasses with our irresistible wine glass coolers and WooziesTM. 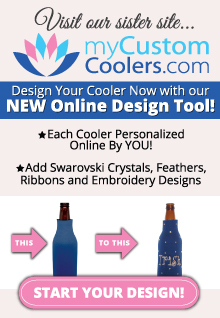 We have sassy feathered wine glass coolers and personalized / monogrammed wine glass coolers. These wine glass coolers make great gifts.